Wall Street stocks rose modestly on Wednesday, absorbing a sweeping court ruling approving the merger of AT&T and Time Warner that was seen as clearing the way for further media consolidation. US markets also were on alert for a Federal Reserve decision later Wednesday that was expected to lift the benchmark interest rate. 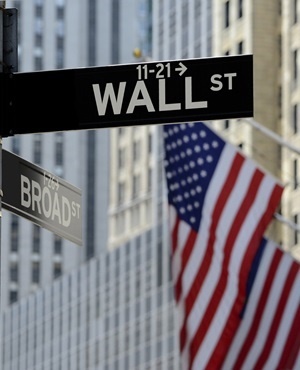 About 25 minutes into trading, the Dow Jones Industrial Average was up slightly at 25 327.06. The broad-based S&P 500 added less than 0.1% to 2 787.81, while the tech-rich Nasdaq Composite Index rose 0.2% to 7 717.78, adding to Tuesday's record close. US District Judge Richard Leon on Tuesday cleared the way for the $85bn merger of wireless and broadband giant AT&T with media-entertainment conglomerate Time Warner, delivering a stinging rebuke to President Donald Trump's administration in its first major antitrust court case. Time Warner jumped 3.7% in early trading, and AT&T fell 3.6%. Twenty-First Century Fox, which has a deal to sell key assets to Disney, surged 7.5%, suggesting the market believes Comcast will enter a bidding war for the assets. Comcast fell 1.7% and Disney gained 1.6%. Investors also are looking ahead to the Fed's interest rate decision, which will also offer signals on how many more rate hikes are likely to come this year and next.